Pulley Systems - Freedom Concepts Inc. The front toe pulley system keeps footplates flat if the rider has plantar flexion and cannot maintain ankle/foot control. 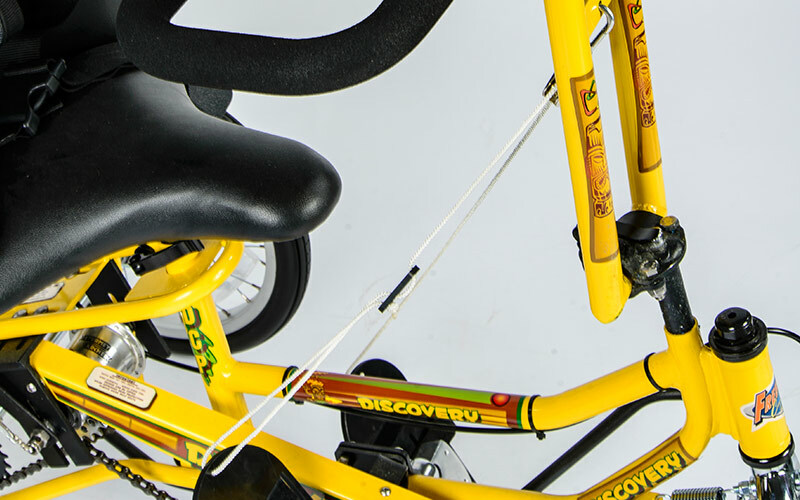 The rear pulley system acts as a self-levelling system for the pedals and also helps keep the footplates in an accessible position for transferring.